In one twenty-four-hour period, I ran into two families who pretty much hate me. Once upon a time we had been friends. These encounters weren’t the first time I’ve seen these people, but, ironically, my personal devotion that day had been from Luke 6 about loving our enemies. I don’t believe in coincidences. I believe in a loving, sovereign God who has a way of dealing with my heart. If I know anything (and sometimes I wonder if I do), I know that God is far more committed to my character than He is to my comfort. The good news—I didn’t feel anger or hate toward these people. I wasn’t anxious or afraid. But I did feel pain and the angst of loss. Not what I wanted or expected to hear from God. 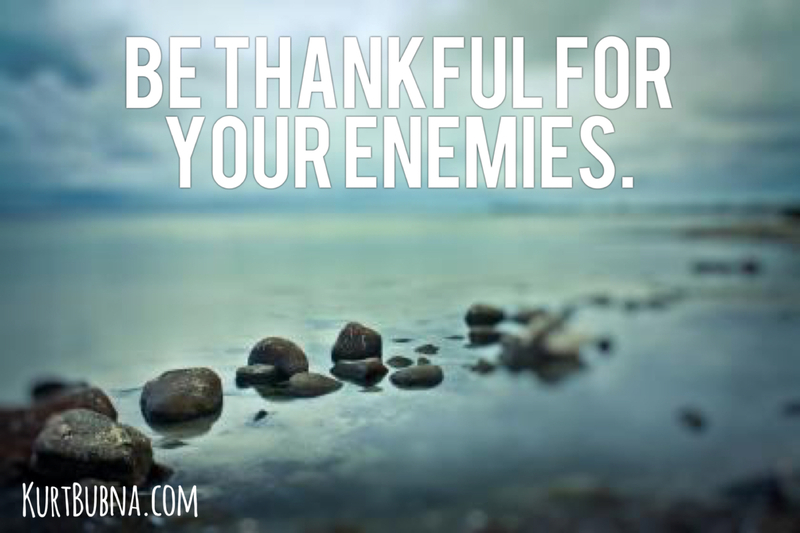 You’ve heard it, and I’ve taught it: Be thankful in everything but not necessarily thankful for everything. Yes, I’m supposed to be thankful in all things regardless of the good, the bad, or the ugly in my life. (Did someone just whistle?) But I don’t have to be thankful for cancer or for any other horrible thing that’s happened. 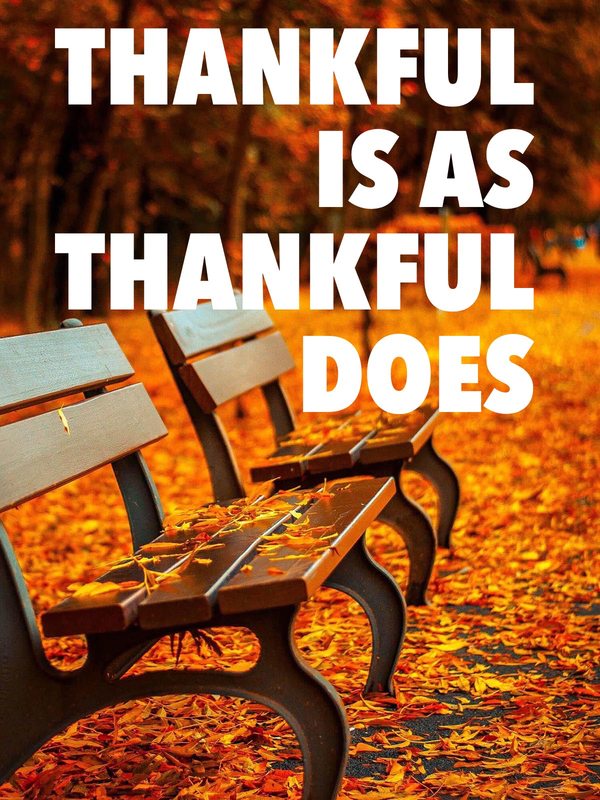 Thankfulness in all circumstances does not mean gratefulness for all circumstances. Thankful in but not always thankful for is good theology. My enemy provides an opportunity for me to love the unlovely even as God has loved me. My enemy provides a path for personal blessing. I get blessed by God when I love the haters, and I can rejoice in a reward that will someday be mine in heaven. My enemy provides a profound opportunity for me to practice the golden rule. My enemy provides me with a chance to be more like my Father, who is kind and merciful to the ungrateful and wicked. By the way, all of the above can be found in Luke 6 (you should click on this link and read verses 22-36). Of course, we are supposed to love everyone, but why should you and I be thankful for those who curse and hate us? 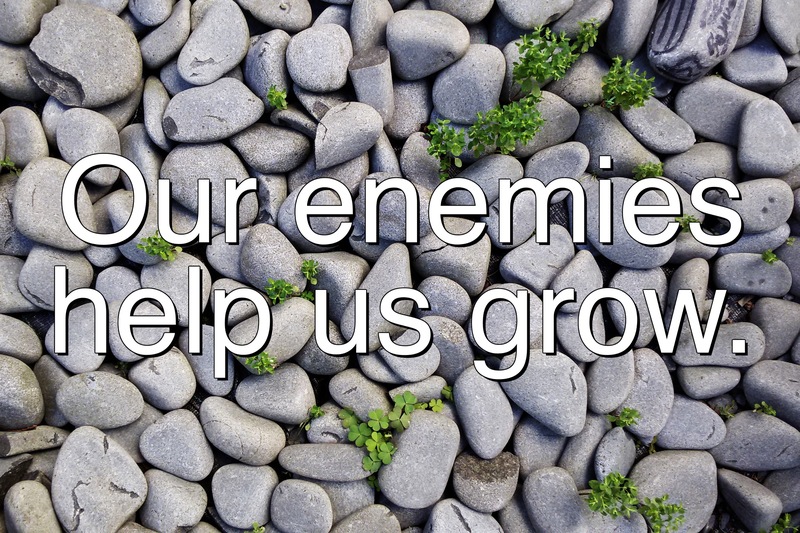 Because our enemies help us to grow. Being thankful for those who hate me changes my fear about them or my frustration with them into a radically different perspective. My enemy is a gift. A gift I can be thankful for. Didn’t see that one coming, but I’m glad I did. Ha Ha, John! Love it. Love you buddy. When we take the mindset behind this verse, and apply it to any enemies that we face instead of friends, I believe that spiritual growth or maturity is the end result. Well, at least to a certain extent. Great insight, Brian, thanks for adding to the conversation. Blessings! I’m right there right now and it’s been hard to come to church feeling the shame. How can God and his people love me when one of my closest family members and family have chosen to disowned and reject me for the rest of my life? Your messages have been a comfort to me. I’ve grown more through this experience so I have to be thankful for this. I still pray for reconciliation, but it’s healing to hear that I’m not alone in this experience. Hi Judy, it’s hard not to believe the lies we are told (and sometimes tell ourselves)… I’m so sorry for the relational conflict you’re experiencing with your family. Know I am praying for you right now. Know too…you are loved…no matter what. Blessings. Wow. The line “God is more interested in my character than my comfort” really stood out & spoke to me! Hard stuff but God told me years ago not only to forgive but to bless. Not an original line/thought of mine, but very good…it’s always character over comfort. Love you! Very good words to live by, especially in today’s negative climate. God loves us all. Amen! Thank you, Mari. You’re right, especially applicable now and in these times. Kurt … Outstanding insight. It hurts when God starts chipping away from us those things that don’t look like Jesus. I’m a slow learner unfortunately. Then there are those precious times I’ve perceived someone to be against me and I had the wrong messages floating around my gray matter. Thank you, Ron. Have a great Thanksgiving!